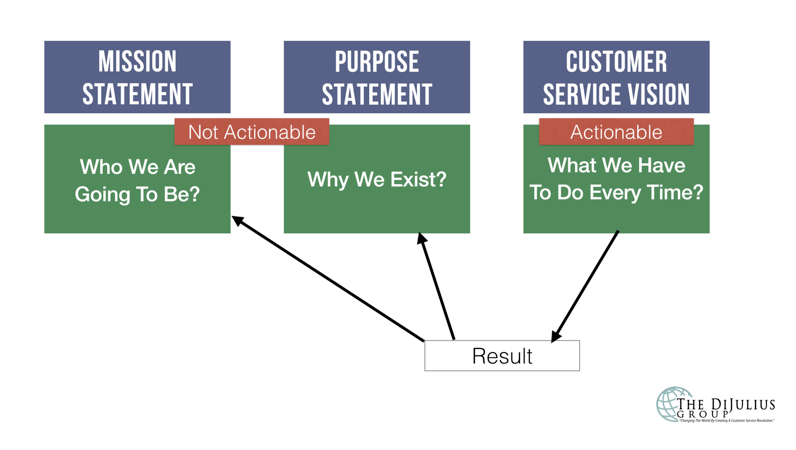 Well read – In last week’s eService (one of my more popular ones) I shared The difference between a Mission, Purpose, & Customer Service Vision Statements. In it I demonstrate the clear difference and importance of each statement, especially how it should be interpreted by your employees. In this eService I want to demonstrate exactly how one company does that. has a similar dilemma to what many other companies face; their Customer facing employees don’t have the same perspective as their primary Customer. The vast majority of NewDay’s Account Executives are in their mid-to-late twenties, and a high percentage of NewDay’s Customers are Vietnam Veterans. So you can see how it would be hard for a 25-year old, recent college graduate, to relate, empathize, and walk in the shoes of a 72-year old Veteran. On top of that, too many leaders discount what a great workforce the millennial generation can be. Not Rob Posner, CEO of NewDay USA. Posner has created a strong purpose, making sure every one of his employees has compassion and empathy for their Customer.